Now that basic usage of different types of adapters has been covered, it is important to remember that adapters can be combined to make a procedure that uses different adapters to generate one processed result. You can combine several sources (different HTTP servers, SQL, etc). In theory, from the client side, you could make several requests successively, one depending on the other. However, writing this logic on the server side could be faster and cleaner. When calling an adapter procedure from a Java adapter use the executeAdapterRequest API. This call returns an HttpResponse object. The following example shows how to mash up data from 2 data sources, a database table and Fixer.io (exchange rate and currency conversion service), And to return the data stream to the application as a single object. Extract a list of currencies from a currencies database table. This adapter will also have a procedure that calls the HTTP adapter passing 2 parameters - a base currency and a target currency to retrieve the updated exchange-rate. Connect to the Fixer.io service. Extract an updated exchange-rate for the requested currencies that are retrieved as parameters via the SQL adapter. Afterward, the mashed-up data is returned to the application for display. The provided sample in this tutorial demonstrates the implementation of this scenario using 3 different mashup types. In each one of them the names of the adapters are slightly different. 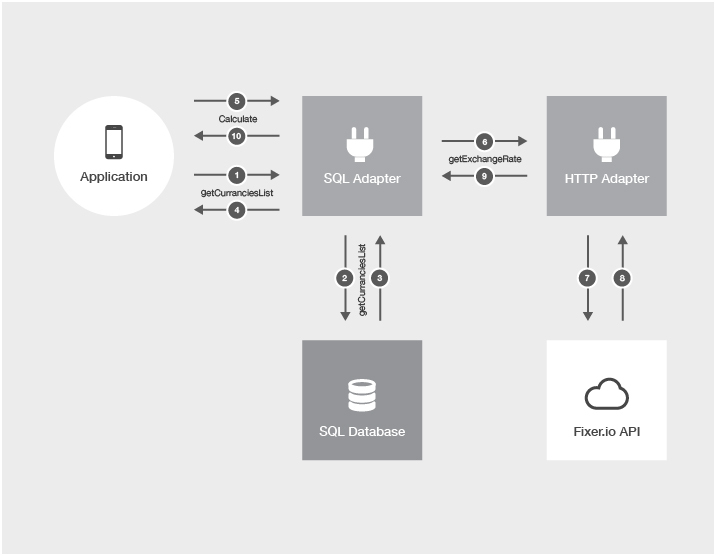 Note: the sample application’s client-side is for Cordova applications, however the server-side code in the adapters applies to all platforms. 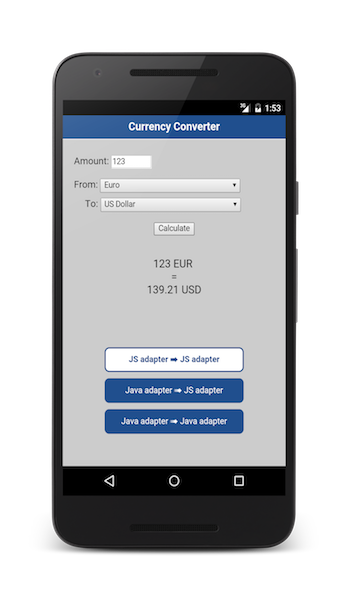 An example of currencies list in SQL is available in the provided adapter maven project (located inside the Cordova project), under Utils/mobilefirstTraining.sql. Run the .sql script in your SQL database. Use either Maven, MobileFirst CLI or your IDE of choice to build and deploy the adapters. Click on the SQLAdapterJS adapter and update the database connectivity properties. Click on the SQLAdapterJava adapter and update the database connectivity properties. From the command line, navigate to the CordovaApp project’s root folder. Add a platform by running the cordova platform add command. Register the application by running the command: mfpdev app register. Run the Cordova application by running the cordova run command.